Earth science and English/journalism teachers at the partner high schools will collaborate with researchers in this innovative project. Following completion of the initial pilot phase, the plan is to expand the project to external funding for more schools in more states. In the pilot, the teachers will: (1) Offer guidance to the researchers during development, (2) Receive paid teacher training sessions, and (3) Provide critical classroom feedback during the development and pilot testing of the ScienceBeat modules. To begin, teachers in the earth science courses utilize interactive content on mobile devices to analyze and discuss the latest information related to climate change with their students. The students complete a related science project. 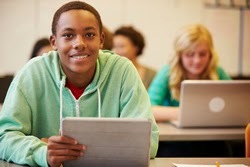 At the same time, student reporters in grades 9-12 will complete six corresponding lessons. Students are assigned to cover climate change topics (or "beats") in the school's required writing curriculum. As they complete the six modules, each reporter produces three informational stories about climate change using text, data, and media. 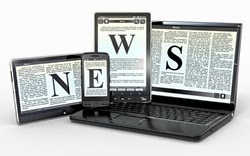 Student reporters must determine an "angle" or focus for their informational text as they learn, practice and apply the target skills for the learning outcomes for each lesson. A scaffolding of writing and media production skills is designed into all ScienceBEAT lessons. To guide student out of class, reporters can access video training modules online. The brief videos will support the classroom instruction by the teacher by demonstrating techniques for writing and explaining information and producing informational media. During the project, reporters use their mobile devices to collect explanatory photos, conduct interviews with teachers and peers in their school, and experts who visit the school to hold "news conferences" about climate change. 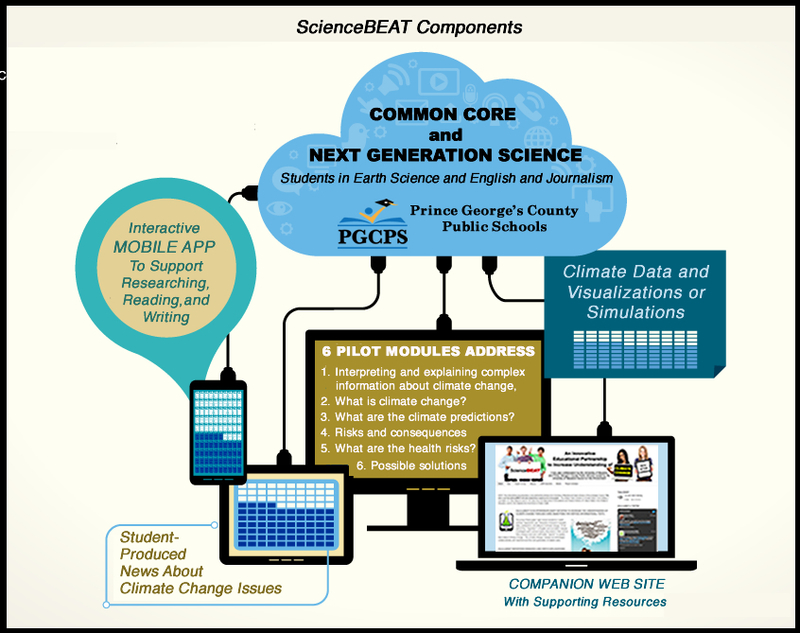 Students post their texts and media on a dedicated ScienceBEAT website that facilitates the iterative processes of writing, editing and revising text with multimedia. Stories posted by reporters are reviewed by teachers, peers in the "covered" science classes, and by outside professionals who provide constructive feedback. (All comments are moderated by the ScienceBEAT teacher.) Parents also have the option to review content. Writing outcomes for grades 10-12 include higher order critical thinking for researching, structuring and writing factual information plus skills to explain complex information to authentic audiences using text and media. Reading outcomes for student reviewers of the content include critical evaluation of the accuracy of the information plus enhanced literacy in science.